Experience the industry’s most advanced manufacturing technology – and potentially find your next highly skilled machinist – at this exciting event. Explore advanced technologies that enhance precision, productivity, flexibility and productivity and address your practical challenges. See demonstrations that include high-quality machines we manufacture in our Florence, KY, production facility, the Plant Engineering Top Plant Award winner for 2018. Discover Mazak’s HYBRID Multi-Tasking systems that unite Friction Stir Welding or HOT WIRE Deposition technologies with conventional subtractive machining capabilities – on one machine platform. Mazak applications personnel and Mazak MegaStir experts will be on hand to explain how you can transform your manufacturing processes with these machines. Learn how digital SMOOTH TECHNOLOGY solutions and network connectivity options can optimize your production efficiency. 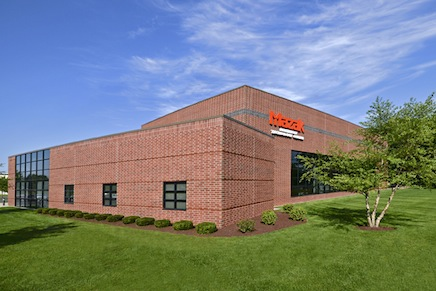 Find out how to collect machine-tool data with the Mazak SmartBox and MTConnect® open-source manufacturing protocol – the same solution Mazak uses in our Florence, KY, facility. Learn more about MAZATROL Smooth CNCs, which handle both EIA/ISO and conversational programming for advanced machine design, unequaled engineering resources, and unsurpassed ease of use and productivity. Meet with representatives from local schools and technical colleges to match their machining graduates with your employment needs — including your internships, co-ops, open jobs and more. On the event’s Student Day, May 16, network with motivated young people who want to learn more about manufacturing careers – maybe even in your shop.